The mysteries surrounding the renegade particle are attracting a worldwide science community to the future DUNE experiment. DUNE — the Deep Underground Neutrino Experiment — is a multinational effort to address the biggest questions in neutrino physics. More than 950 researchers from 30 countries have joined the DUNE collaboration, and both numbers are trending upward: Back in 2015, the collaboration comprised about 560 scientists and engineers from 23 countries. It’s currently the largest particle physics project being undertaken anywhere in the world since the Large Hadron Collider at the European laboratory CERN. Modeled after CERN’s ATLAS and CMS experiments, the DUNE collaboration is an international organization. The experiment will be hosted in the United States by Fermi National Accelerator Laboratory. The latest countries to join DUNE include Chile and Peru. The most recent new institutes to join DUNE come from Colombia, the UK and the US. 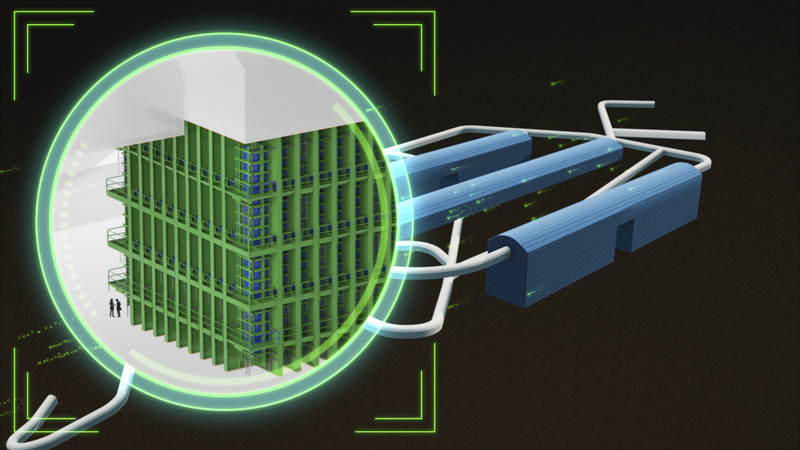 Collaborators are developing new technologies for DUNE’s two particle detectors, giant instruments that will help capture the experiment’s notoriously elusive quarry, the neutrino. With DUNE, which is expected to be up and running in the mid-2020s, scientists plan to get a better grip on the neutrino’s subtleties to settle the question of, for instance, why there’s more matter than antimatter in our universe — in other words, how the stars planets and life as we know it were able to form. Also on the DUNE agenda are studies that could bolster certain theories of the unification of all fundamental forces and, with the help of neutrinos born in supernovae, provide a look into the birth of a black hole. It’s a tall order that will take a global village to fill, and researchers worldwide are currently building or signing up to build the experiment, taking advantage of DUNE’s broad scientific and geographic scope. Machado is currently working on a device named Arapuca, which she describes as a photon catcher that could detect particle phenomena that DUNE is interested in, such as supernova neutrino interactions. She’s also working to connect more Latin American universities with DUNE, such as the University Antonio Nariño. On the opposite side of the world, scientists and engineers from India are working on upgrading the high-intensity proton accelerator at Fermilab, which will provide the world’s most intense neutrino beam to the DUNE experiment. Building on the past collaborations with other Fermilab experiments, the Indian scientists are also proposing to build the near detector for the DUNE experiment. Not only are India’s contributions important for DUNE’s success, they’re also potential seeds for India’s own future particle physics programs. More than 950 researchers from 30 countries have joined DUNE. Collaborators are developing new technologies for DUNE’s particle detectors, giant instruments that will help capture the notoriously elusive neutrino. DUNE’s two particle detectors will be separated by 800 miles: a two-story detector on the Fermilab site in northern Illinois and a far larger detector to be situated nearly a mile underground in South Dakota at the Sanford Underground Research Facility. Fermilab particle accelerators, part of the Long-Baseline Neutrino Facility for DUNE, will create an intense beam of neutrinos that will pass first through the near detector and then continue straight through Earth to the far detector. Scientists will compare measurements from the two detectors to examine how the neutrinos morphed from one of three types into another over their interstate journey. The far detector will contain 70,000 tons of cryogenic liquid argon to capture a tiny fraction of the neutrinos that pass through it. DUNE scientists are currently working on ways to improve liquid-argon detection techniques. The near detector, which is close to the neutrino beam source and so sees the beam where it is most intense, will be packed with all kinds of components so that scientists can get as many readings as they can on the tricky particles: their energy, their momentum, the likelihood that they’ll interact with the detector material. As the collaboration expands, so too does the breadth of DUNE physics topics, and the more research opportunities there are, the more other institutions are likely to join the project. That will be a notable milestone for the collaboration, one that follows another sign of its international strength: Late last month, for the first time, DUNE held its collaboration meeting away from its home base of Fermilab. CERN served as the meeting host. DUNE is supported by funding agencies from many countries, including the Department of Energy Office of Science in the United States.